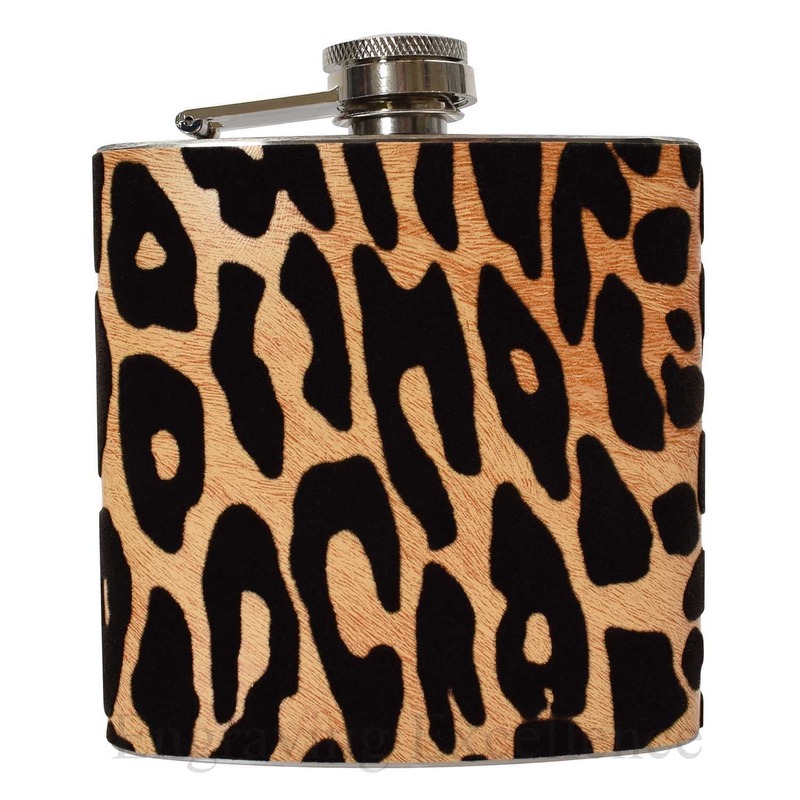 6oz Leopard style Hip Flask wrapped in a flock vinyl, giving the flask a lovely soft texture and hidden depth. 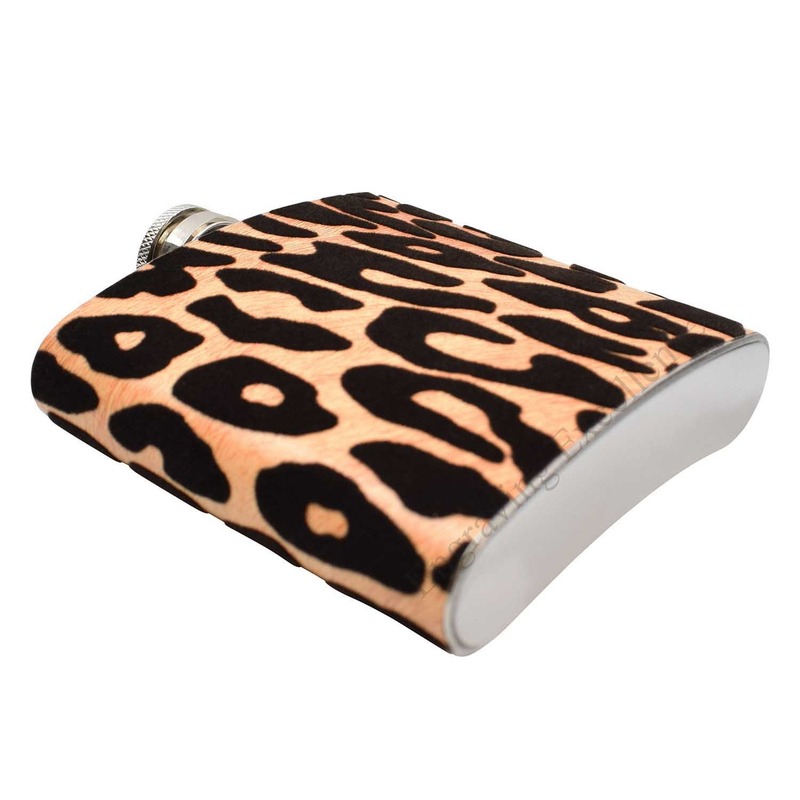 This flask will stand out in any situation, making it perfect for the animal lovers. 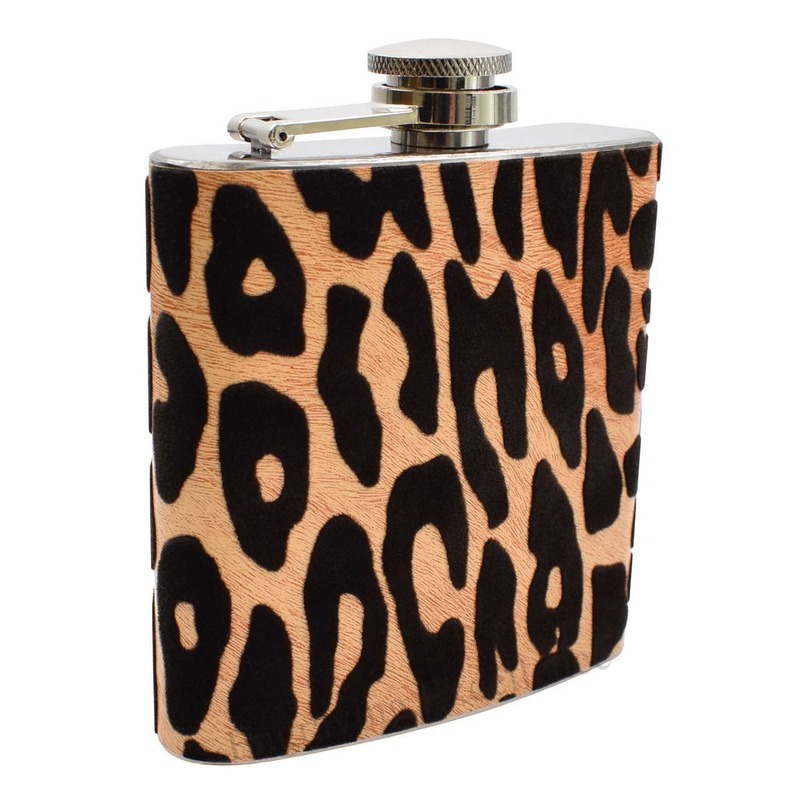 The hip flask is made of stainless steel for toughness, with a carbon fibre style wrap.